Dublin manager and yes, pilot Jim Gavin is set to help airlift 5,300 animals to Rwanda as part of his work with charity, Bothar. 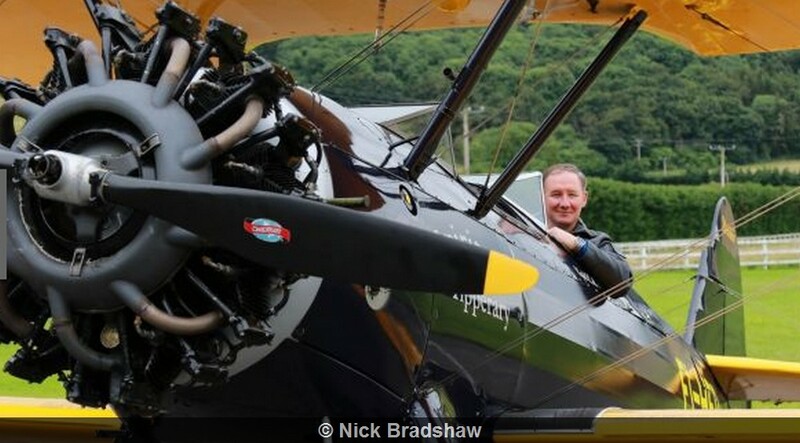 The Clondalkin man plans to captain a flight next week which will be the biggest ever multi-species airlift from Ireland and the largest of its kind in the world. The three times All-Ireland winning manager and one-time All-Ireland winning player will join a crew of three on board the ‘Bóthar Ark’ when it takes-off on Monday, October 10 from Shannon Airport. They'll embark on a five day mission to deliver the life-changing livestock to 797 already trained and prepared rural Rwandan families that are still affected by the genocide even after two decades of peace. Speaking today ahead of the trip, the Dublin manager said: “I’ve been to Africa many times before with work but I’m particularly looking forward to this trip. Jim Gavin (born 1 July 1971) is an Irish Gaelic football manager and former player. He has been the manager of the Dublin senior team since 2012, where he has since become one of the county's most successful managers in terms of major titles won. Gavin is regarded as one of the best managers in the modern game. Jim is, a qualified pilot, Airbus A320 trained and is an Assistant Director with the Irish Aviation Authority. The biggest ever multi-species airlift from Ireland will be carried out by Bothar as 1,500 animals will fly to Rwanda from Shannon. "The Bothar Ark" will left Shannon Airport (Ireland), on Monday 10 October 2016, to Kigali, on board of cargo aircraft. The 1,500 animals to be transported to Rwanda will include 40 in-calf dairy cows, 260 pigs, 200 dairy goats and 1,000 chicks. "Final preparations are now in place for what will be the most significant airlift of Bothar’s quarter of a century of livestock aid activity". “This is the most important airlift we have ever pulled together, for many reasons. It’s our biggest airlift in terms of numbers and species and, in that regard, a record in an Irish context. It also marks our 25th birthday as an aid organisation and what a journey it has been. 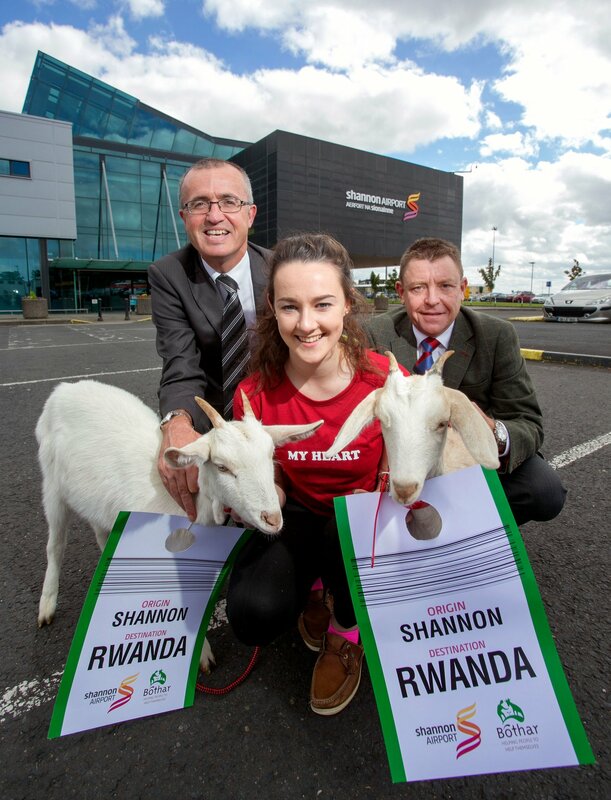 "Shannon Airport are delighted to support Bothar in their efforts to transport animals and food to people in the developing world"
Bóthar is an Irish charity that enables families and communities worldwide to overcome hunger and poverty and to restore the environment in a sustainable way. Of the Charities in Ireland, Bóthar has its origins in 1989 in the city of Limerick on the Shannon Estuary in Ireland. It began as an enterprise with the aim of sending as many dairy cows to Africa as possible in the year 1991, in conjunction with the civic celebrations to mark the tercentenary of the signing of the Treaty of Limerick, an important milestone in Irish history. Need to Visit the Kigali Airport ?